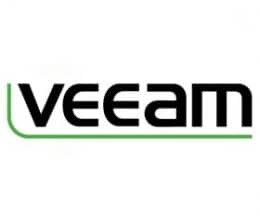 Veeam® recognises the new challenges companies across the globe face in enabling the Always-On Enterprise™, a business that must operate 24.7.365. To address this, Veeam has pioneered a new market of Availability for the Always-On Enterprise™ by helping organisations meet recovery time and point objectives (RTPO™) of less than 15 minutes for all applications and data. Veeam leverages virtualisation, storage, and cloud technologies that enable the modern data centre to help organisations save time, mitigate risks, and dramatically reduce capital and operational costs, while always supporting the current and future business goals. Veeam gets organisations up and running in minutes with a near-effortless scalable architecture and deployment, combined with a straightforward approach to licensing. Clients have the freedom to focus on productive tasks and less time managing their availability. Call 1300 IT ASSIST (1300 482 774) today if you would like to discuss how your organisation can benefit from Veeam technology. Alternatively, email itassist@moncrieff.com.au.